Bikes for Zurich‘s municipal employees in over 50 locations in Zurich. 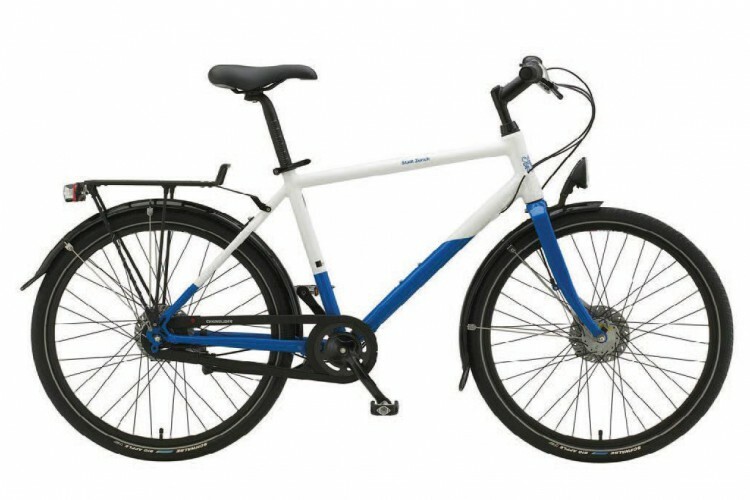 A classic unisex 26“ frame and fork made of aluminium and painted in the city flag colors. Schwalbe Big Apple tires, Shimano Nexus 8-gear hub shifter and Rollerbrakes. Hub dynamo and falure safe cabling and wiring. The seat posts are secured using a steel wire mounted to the frame. Sensor-controlled LED lights with DIWA light delay. CNC customized buckle system for parking.